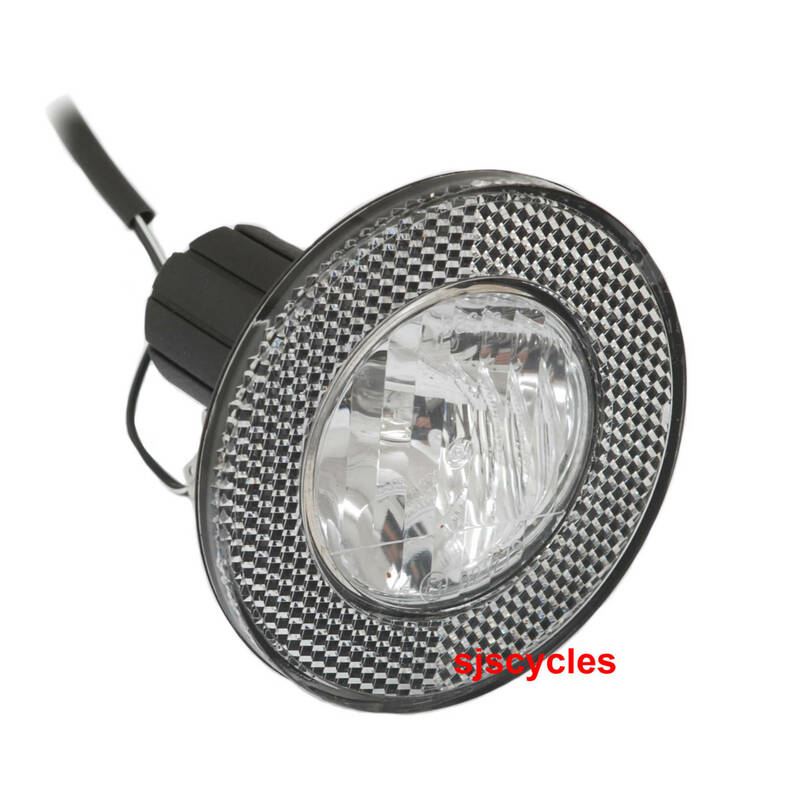 Replacment front halogen lamp for Brompton dynamo lighting systems. Switched version for use with hub dynamo. With cable for fitting to Schmidt SON hubs. Halogen dynamo lights used to be the best you could get. Now however LED lights work so much better. This light is standard equipment on a Shimano dynohub equipped Brompton from a few years ago. Modern LED lights convert nearly all the electrical power into light. Incandescent bulbs convert most of the energy into heat and only 2% of the energy is converted into light. An LED light will produce 10 times more light for the same amount of power. Also halogen bulbs tend to burn out over time and the bulbs are £2.50ea. Hard to get hold of from a regular bike shop. LED lights have no bulb to blow.